You can also contact us by telephone on +33 45. 03. 33. 05. While everyone at Michelin is committed to protecting and respecting your privacy, we have a data protection department who deals with all aspect of personal data at Michelin. You can contact them, by sending an email to privacy.fr@michelin.com. To submit your project at Michelin Corporate Foundation we will ask you to create an account (“Account Data”). Account Data will be processed for the purpose of request management Account Data will include your full name, email address. We may also ask you to set a password so you can securely log back on to your account. We will use our legitimate interests in the processing of your request Account Data, as long as you have an active account plus two years as from your last action on your account. You can of course create a new account if you wish. If you request further information from us by signing up to receive any of our newsletters (“Newsletter Data”). Newsletter Data is processed for the purposes of sending you the relevant notifications and/or newsletters and/or any communication about the Michelin Corporate Foundation. We will ask you for your name and email address so we can send you these information. The legal basis for this processing is consent. We will not keep Newsletter Data more than 3 years after our last contact. This website is not intended for use by children and we do not knowingly collect data relating to children. If we become aware that we are holding any information about children under the age of 15, we will take any actions necessary to comply with data protection legislation, including if appropriate, deleting the information. If you become aware that your child (under 15) has provided their personal information to us, without your consent, please let us know as soon as possible by emailing fondation@michelin.com so that we can take appropriate action. Information from our web servers’ logs, for example information about your computer, such as your IP address, operating system and browser type. We may also collect information on the searches you carry out on our website and your interaction with communications we send you, for example, when you open email communications. (“Usage and Device Data”). This information is used by us for system administration and to analyse how people are using our websites and digital platforms. It also helps us to provide the best online infrastructure for your online activities. We only share your personal data with people who have a need to know such information to perform their responsibilities. 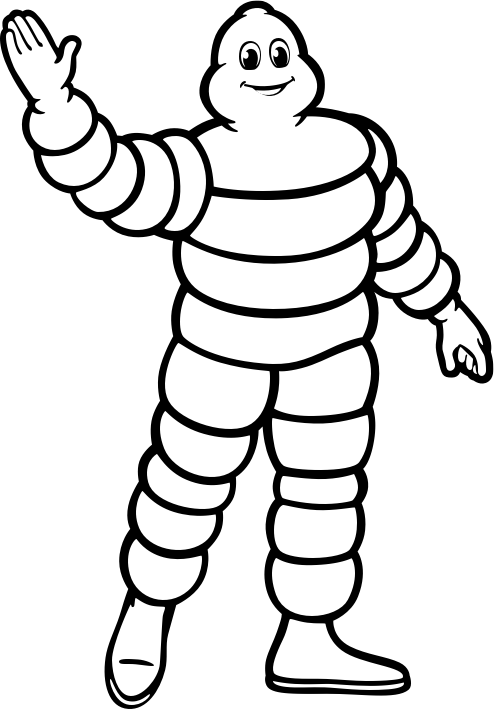 Service Providers – Michelin may share your personal information with selected service providers that Michelin may use to process your request or provide its services to you. These service providers act as data processors on our behalf and provide IT and system administration services, such as hosting and email services and managing the ratings and reviews. These service providers are legally obligated to keep the personal information they may have received confidential and secure and to use your personal information the basis of our instructions only. Transfers of data outside the group are governed either by the BCR (https://www.michelin.com/eng/content/download/14045/177317/version/4/file/Michelin+Binding+Corporate+Rules.pdf) of the subcontractor or by contracts containing the clauses of the European Commission for suppliers established outside the EU to guarantee a similar level of protection as that of your home country. 10. How long will personal information be kept by us?